Vice President Inonge Wina today told parliament that the Roger Chongwe Commission of Inquiry report on the Mongu riots of 14th January 2011 will only be released when Edgar Lungu feels like doing so because it was his prerogative. Responding to a question from Sesheke Member of Parliament Simona Kufakwandi who wanted to know when the report will be availed to the public, Wina said there were many other Commissions of Inquiry reports that have never been released and the Roger Chongwe report was just one of them. ‘There has been a number of Commissions of Inquiry in this country if I remember correctly there was even the Gabon disaster Commission and up to now we have not received the outcome of that investigation so even this particular one, it’s the prerogative of the head of state to make information available, maybe when he decides to do so we will be told,’ Wina said. 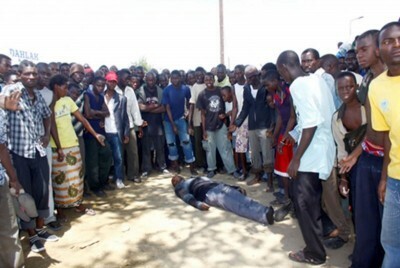 The Roger Chongwe Commission of Inquiry was set up in 2011 by the then president late Michael Sata to investigate the Barotseland Agreement related violence and ‘riots’ that occurred in January 2011 in which over 19 people lost their lives during and after the fracas. Sata refused to implement the recommendations after he failed to ‘secure’ the arrest of the Litunga Lubosi Imwiko ii who was viewed as a sympathiser of the MMD and Rupiah Banda. Among the recommendations was to drop the forced name of Western Province and replace it with Barotseland, to restore the 1964 Barotseland treaty to allow Barotseland to exist as a semi autonomous territory under a unitary arrangement with Zambia as it was originally agreed in 1964 when the former British protectorate of Barotseland joined Zambia and to demilitarise the region. The government instead deployed more troops to the region and has maintained a heavy presence of soldiers and security personnel since 2011. Edgar Lungu does not visit the province because of the unresolved issue surrounding the Barotseland agreement. Last year he only visited the place once while this year he only attended the Kuomboka ceremony and has never gone back.